We propose exact, complete and efficient methods for 2 problems: First, the real solving of systems of two bivariate rational polynomials of arbitrary degree. This means isolating all common real solutions in rational rectangles and calculating the respective multiplicities. Second, the computation of the sign of bivariate polynomials evaluated at two algebraic numbers of arbitrary degree. Our main motivation comes from nonlinear computational geometry and computer-aided design, where bivariate polynomials lie at the inner loop of many algorithms. The methods employed are based on Sturm-Habicht sequences, univariate resultants and rational univariate representation. We have implemented them very carefully, using advanced object-oriented programming techniques, so as to achieve high practical performance. 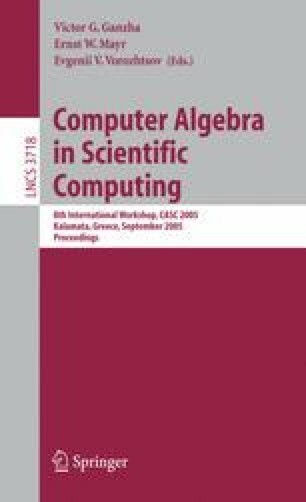 The algorithms are integrated in the public-domain C++ software library synaps, and their efficiency is illustrated by 9 experiments against existing implementations. Our code is faster in most cases; sometimes it is even faster than numerical approaches.